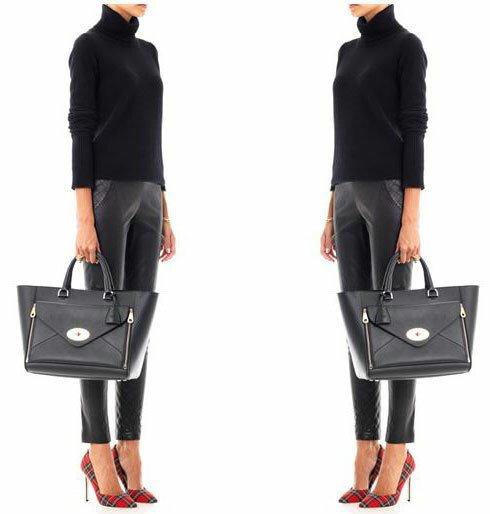 You know winter is on the way (Or winter fashion, in any case: I hope winter itself is still a very long way away!) when tartan starts to appear in stores, don’t you? Now, if you’ve been reading here for a while, you’ll know that I’m not a huge fan of tartan. I can take it in small doses, but only in VERY small doses, and when it comes down to it, I tend to think that most tartan shoes and clothes would look a little bit better in just about any other print at all. I love everything about this look: it’s basically the perfect Autumn/Winter outfit as far as I’m concerned: the mixture of textures is fantastic, and for once I think the tartan shoes are the perfect finishing touch. 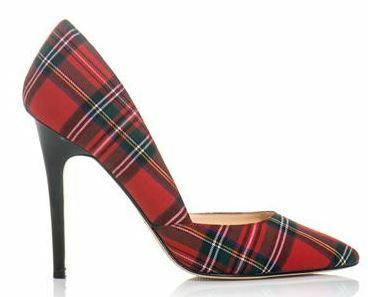 I have these shoes, purchased to meet the tartan requirement for a ceilidh. I love the shape. I don’t love the tartan but I love the shape.